The joy of raucous live hip-hop sometimes seems a distant dream: Brightonian fans of the art are used to seeing big-name playaz cancel shows at short notice, turn up late or dole out shadows of albums with the half-hearted assistance of partially-represented posses. 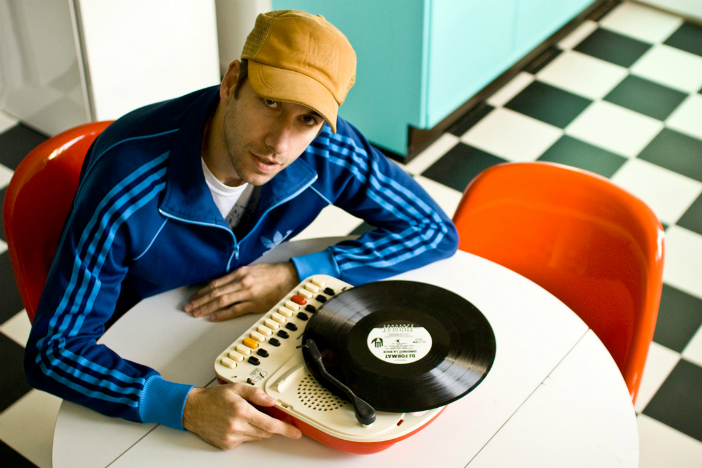 DJ Format defies these accepted disappointments: now a local, he plays for at least three hours, taking to the wheels for an hour either side of an all-killer set with Abdominal, his smooth-tongued Canadian henchmen. This gig honours the 10th anniversary of ‘If You Can’t Join ‘Em… Beat ‘Em’, a good-time album which might as well have been sold gift-wrapped with a set of balloons and beer pong instructions, so perfect were its beats and rhymes for parties among discerning suburban b-boys and girls. Appositely, tonight the crowd are inches from Abdominal’s feet. When he drops something out of his pocket, one bump-and-grinder picks it up and inspects it before the grateful rapper notices his loss and grabs it back. ‘Participation Prerequisite’, predictably yet gloriously, ushers in one of the best-organised accompaniments imaginable in such rowdy environs, with the crowd directed into teams variously split off by a man with a beard, a man with a goatee and the flank nearest the bar, each third taking it in turns to sing their part of the chorus loudly. Numerous snortingly hilarious completions of verses by fans follow, the best of which might well be when about 100 people shout “each possess the strength of ten men”, the key self-deprecating lyric off ‘Vicious Battle Raps’. That inimitable track comes from 2003’s ‘Music For The Mature B-Boy’, from which ‘The Hit Song’ lives up to its name. But it isn’t all fond throwbacks: the first song of their two-track new release, ‘We Say’, is the sort of hazy-yet-slick groove which Jurassic 5 would admire. The second, ‘Reflective Meditation Rhymes’, is all about the moot point – for act and listeners – of ageing and time flying, yet there’s no weariness to it: the flow sounds effortless, lineaged from the golden age when the genre hinged on wordplay and self-awareness. “If you’re not gonna buy anything just slap me some high-fives,” advises Abdominal, advertising his later appearance at the merch stall while running his palm along the gamut of a sweaty front row, before finishing with the chest-thumping ‘I’m Good’. “The sound of Toronto’s finest and Brighton’s son,” he raps, warning that we “could be stuck in here for days”. It’s a prospect which sounds immeasurably preferable to skulking off and going to work on Thursday morning with a hip-hop induced hangover.